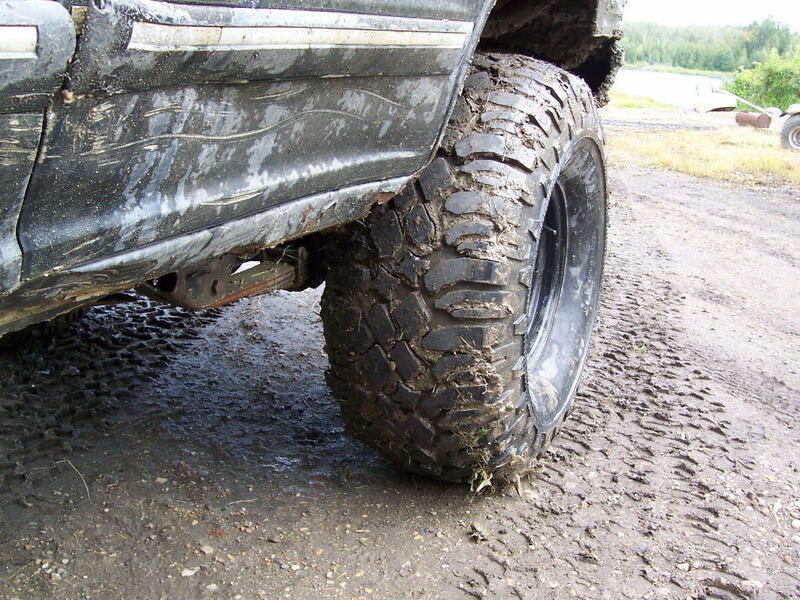 Do you remember the first off road tire that you ever saw? 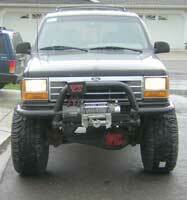 I do, it was a 31x10.50x15 Desert Dueler and it was on display at my local Sears Auto Center. I couldn’t have been more than 8 or 9 years old but every time we went to Sears I would head over to the Auto Center to gawk at that one tire that was almost as big as me. I didn’t know that it was an off road tire, I just knew that it was BIG and I wanted Dad to get two of them for the rear of our ’68 Fairlane. Fast forward more than 25 years and I am still drawn to big tires. 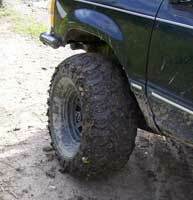 Except that these days the off road tires are worlds apart from what they were in the 70s and 80s. 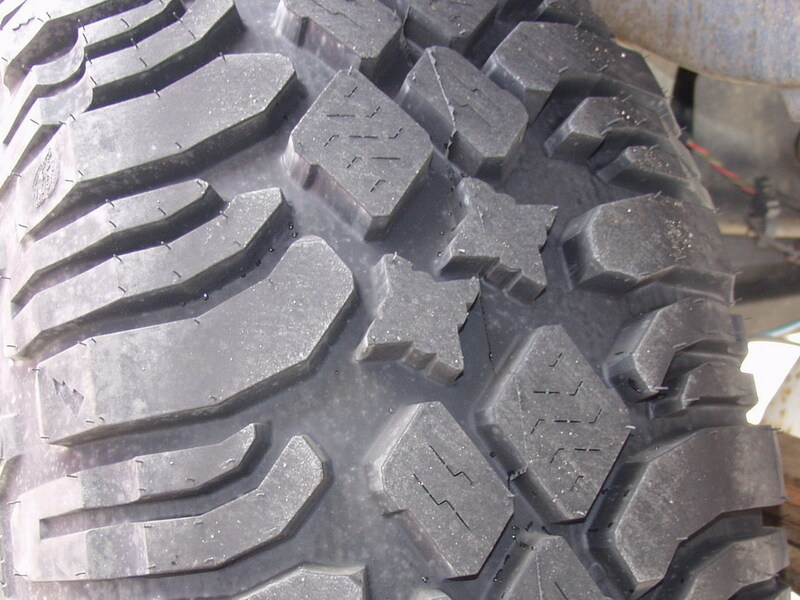 Some of those old standbys are still around but the advancements in tread design and compounds, especially in the last five years have revolutionized the off road tire industry. While in the past there were very few tires to choose from now there are more out there than I can name without reading from a list. This truly is the golden age for off road tires. One of these new contenders is the Mad Dog by Pit Bull Tires of St. Louis, Missouri. 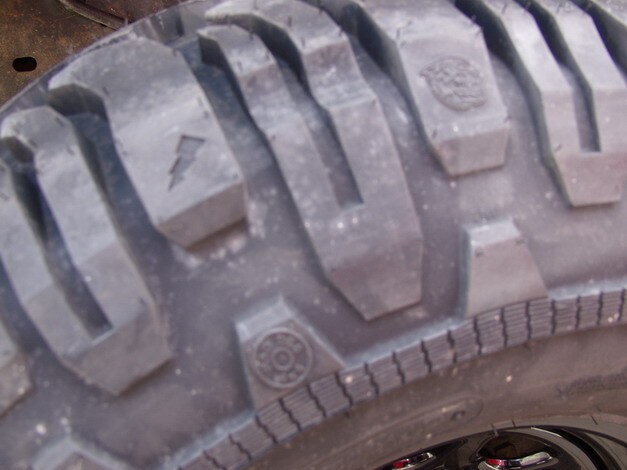 Pit Bull is a fairly new player in the industry, but they have taken the aggressive position of producing off road tires as their primary product line. The Mad Dog is the mud terrain tire in their lineup, which also includes the Rocker. They consider the Rocker an "extreme terrain tire" and the Growler as their all terrain, though it appears to be somewhat more aggressive than the usual all terrain. Being that the Mad Dog is a mud terrain tire, I do not know of many better places to test in the mud than Alberta, Canada. We've got buckets full of the kind of mud that can plug up the most aggressive off road tire like it was an all season radial. I look forward to seeing what the Mad Dogs can do. As much as we all like to say that we prefer function to form, a purely functional product would be a hard sell in any marketplace. Pit Bull has made a great effort to produce tires that look as good as they perform. Ironically, at first glance the Mad Dog is a little bit odd looking. Certainly if you were to use the pictures on the Pit Bull website as a reference you would wonder what the tread was all about and how it would perform. I was happy to see that the tires looked better in person than the website picture led me to believe. In fact they looked so much different from the picture on Pit Bull's website that I had to double check the sidewall to be sure that I had received the correct tires. When the tires came off the delivery truck I thought they looked small. 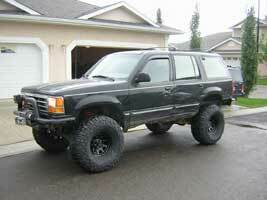 That is until the tires were mounted on the wheels and then I changed my mind. They are indeed a very wide tire. The Pit Bull Mad Dog is of durable bias ply construction and has several features that add to this strength. The most noticeable is the reinforced sidewall that has wrap around tread blocks and a thick ribbing at the mid-section of the tire. There is also a heavy bead protector to help keep the damage to your wheels at a minimum. As of this writing the Mad Dog is available in one size of 35x14.50 and four rim sizes of 15", 16", 16.5" and 17". 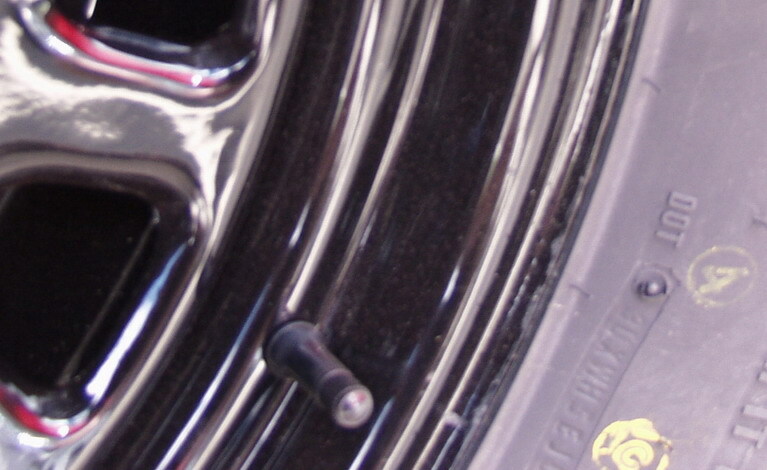 The 15" tire is Load Range C with a 6-ply rating while the rest are Load Range D with an 8-ply rating. Mike Green at Pit Bull informs me that the Mad Dog will soon be available in 38.5x13.50-15", 16", 16.5" and 17" sizes. Look for them by year-end 2005 or in early January of 2006. The tread of the Mad Dog looks different than most tires out there. Though I haven't measured it to be sure, the tread appears asymmetrical. There are varying sizes of long thin fingers on the outside and nearly diamond shaped siped blocks and star shaped lugs in the center. The voids are very large between certain lugs and more conventional between others. It is a tread design that causes one to rub their chin and go hmmm. The rubber compound that the tread is made of is very soft, so soft that you can grab a hold of a lug and twist it with your fingers. This should allow for tremendous grip in the rocks but I wonder if the compound might be too soft and allow the tread blocks to tear off. The sidewalls of these tires feel like they are thick and the extensive ribbing of the sidewall should provide an extra measure of protection. The bead protector projects past the lip of the rim approximately 1/16 of an inch. 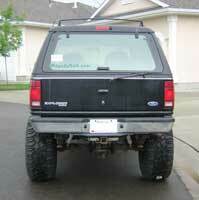 This provides an extra margin of protection for your wheels when you are rubbing up against the rocks. The drawback to this is that your local wheel alignment shop may have difficulty or be unable to mount their alignment heads on your wheels and you probably won’t be able to use conventional clip on wheel weights. 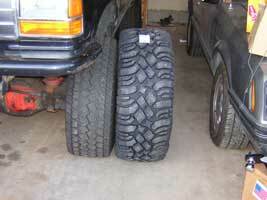 For how the majority of these tires will likely be used it is a small price to pay for bead protection off road. The Mad Dogs advertised measurements are 35x14.50x15 for the tires that I received. 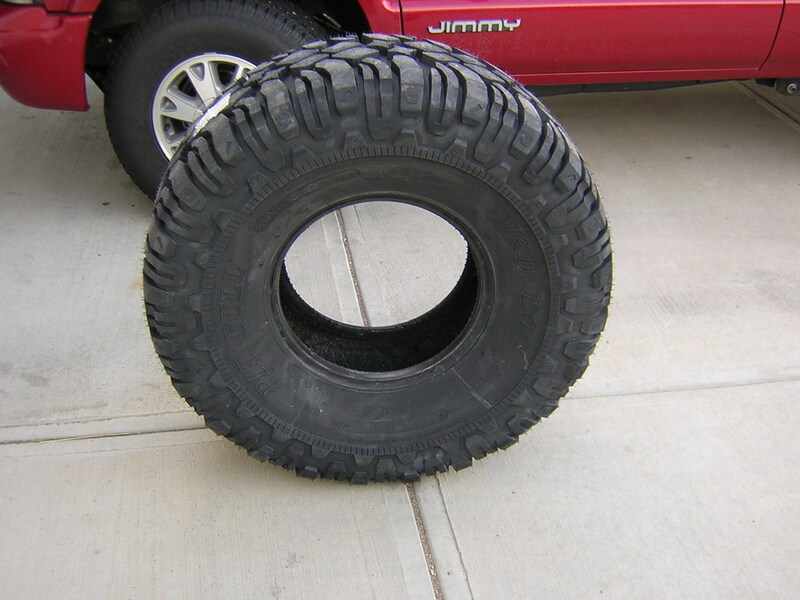 According to Pit Bull's spec sheet the actual measurements are 35.5"” for the outside diameter, 14.71" for the section width, 11.70" for the tread width and a weight of 70lbs all taken with the tire mounted on a 10" wide wheel. I mounted the tires on 8" wide wheels, which are narrower than recommended. My intention was to have a set of bead lock rings welded to these wheels before the tires arrived. This would have given me a wheel width within the recommended range but I was unable to get the beadlock rings in time for this review. My actual measurements with the tires mounted on the narrow 8" wheel at 28 psi are just a hair under 36" for the diameter and 14.75" for the width. With the weight of the vehicle on the tires I measured 34" from the ground to the top of the tire. 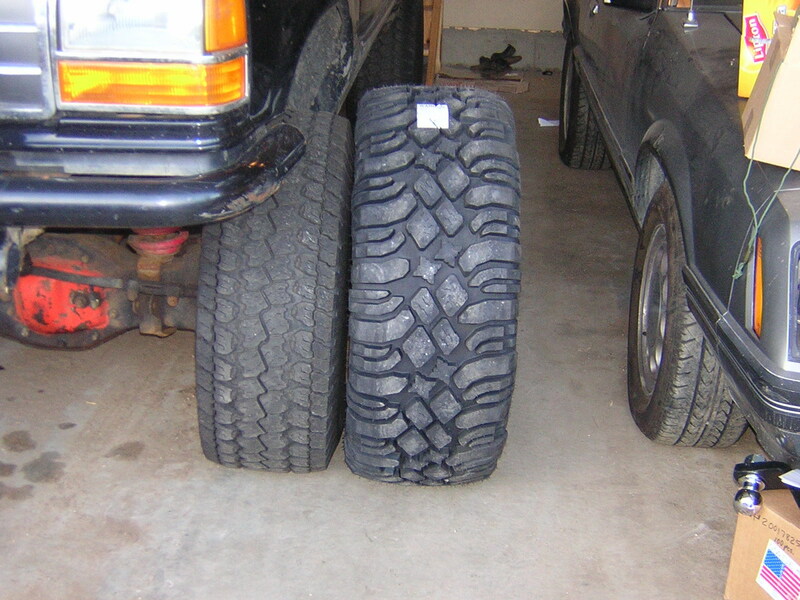 In a side by side comparison with my old 33" tires it is readily apparent how wide the Mad Dogs are. Getting my hands on these tires proved quite troublesome in the beginning, as there was a mix-up with the Canada Customs documentation. The tires were held up at the bonded warehouse for nearly two weeks. When the tires arrived I stuffed all four of them into the back of my Jimmy, rushed out and bought some steel wheels to mount them on and then took them to a local tire shop to be mounted. 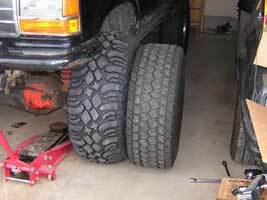 The guys at the tire shop had no problems mounting the tires and in fact said that they mounted very easily. They were also very intrigued by the Mad Dogs as they had never seen or heard of Pit Bull Tires before. I believe but am not certain, that these could possibly be the first set of Mad Dogs in Canada. 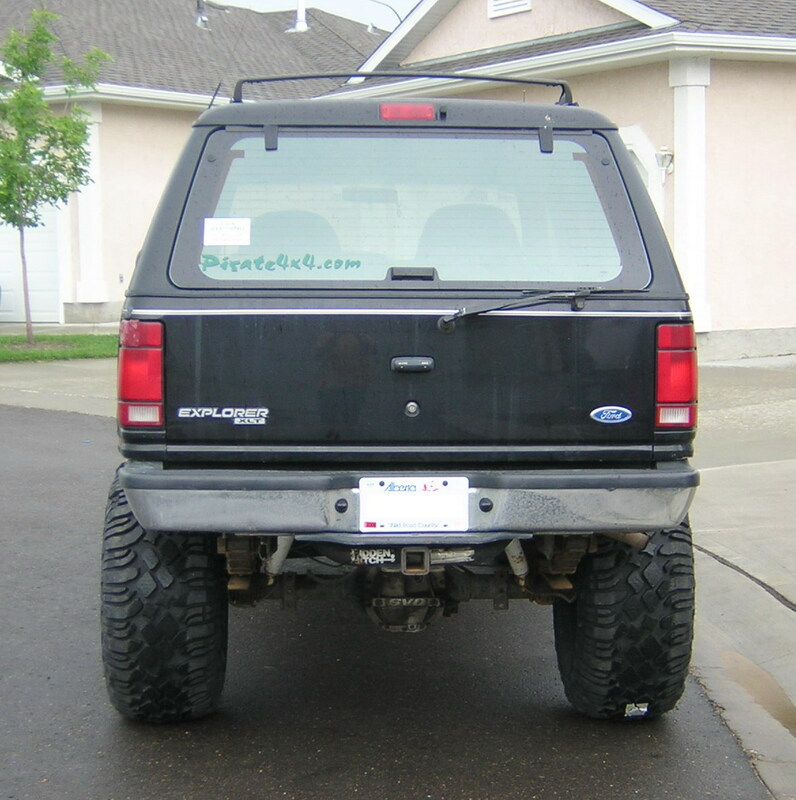 Once the tires were mounted on the wheels I jammed them back into the Jimmy and went home to install them on my Explorer. Let me tell you, when you have four 35x14.50 tires in a two door Jimmy there is not much room for anything else, including the driver. 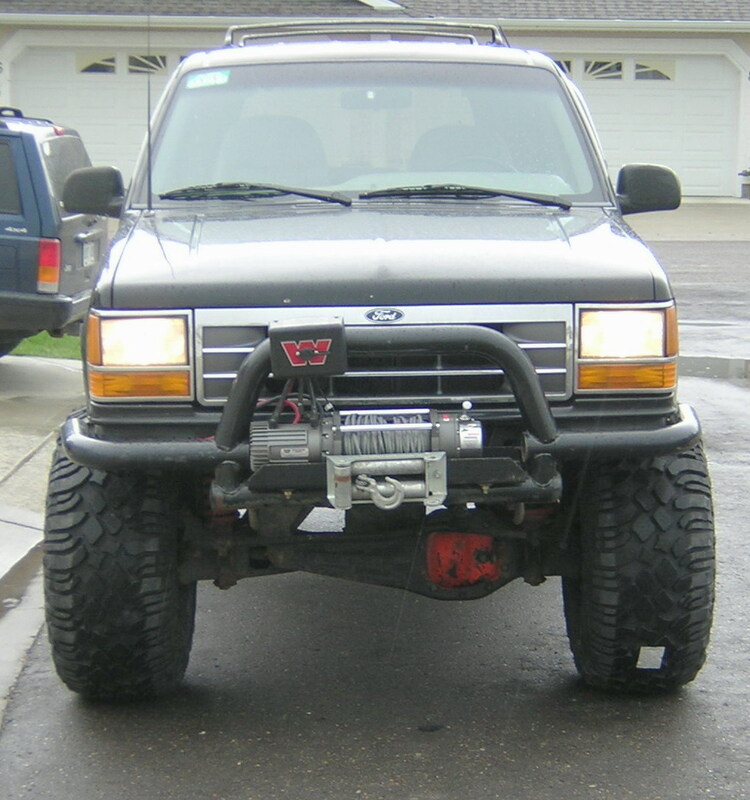 The lug nuts that I had for my factory Ford aluminum wheels would not work on the black Rock Crawlers that I had just purchased because of the depth of the acorn so I bought some standard lug nuts and mounted the wheels. Once the wheels and tires were mounted on the truck I went for a drive. It was a very short drive, not much more than a few blocks. I was in need of a wheel alignment beforehand but with my old Goodyears the truck was still drivable. Now with the Mad Dogs mounted the aggressive tread was making it impossible to drive with the alignment out of whack. The large voids were causing the tires to pound the ground and violently shake the truck, so much so that I could not safely road test these tires until a wheel alignment was done. I took the truck to a local shop to have a wheel alignment done and promptly found out that the bead protector had prevented the shop from mounting their alignment heads. The only solution was for me to return home and put my Goodyears back on so that the alignment could be performed. Finally, everything was in order and I was ready to go for a road test. The alignment made a big difference in the ride the Mad Dogs provided, as there was no more violent shake. However that is not to say that the Mad Dogs are a smooth riding street tire. In actuality they are loud and rough riding on the street just as the aggressive bias ply tires from their competitors are. The Mad Dogs do have one particularly puzzling character though, the large voids and the odd shaped center lugs and possibly the apparent asymmetry of the tread design created a sort of shimmying effect when driving on road. When I had the tires mounted they were not balanced but this shimmy did not sound or feel like an out of balance condition. Indeed the Mad Dogs seem to be very well balanced as is, a remarkable feat for a large aggressive tire. 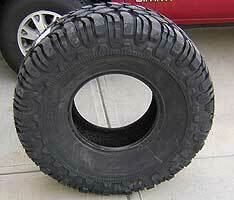 No matter though because we want these tires for off road, right? Well yes, but just a warning that the Mad Dogs might not be the best choice for a daily driver. I tested the tires at speeds of up to 100 km/h (62 mph) and determined that I wouldn't want to drive too far nor very fast on the highway with these tires. Around 80-90 km/h (50-55mph) was the most comfortable for driving to a trailhead and should be a more than adequate speed, and with some of todays soft suspensions probably the most prudent. In order to properly test a mud tire you need lots of great gooey mud. It just so happens that approximately 30 km from my house is private off road area called the Alberta Safari Company and they have an abundance of mud. The dark rich topsoil covering yellow and gray clay along with coarse sand is the ultimate test bed for any mud tire. Add to that the unusually wet July that we had this year, and this venue was just what I needed to test the Mad Dogs. One feature that is very important for a tire is lateral stability. A tire that slips and slides in sidehill and off camber situations does not inspire confidence, and can turn a fun trail into a scary one. The Pit Bull Mad Dog tires gripped extremely well in these conditions. They gave me the confidence I needed to know that I was not going to slide off the trail or into the trees. Steep and slick hill climbs were easily tackled as the Mad Dogs chewed through the top layer of mud down to the hard packed clay beneath. The tires gripped very well and pulled my truck to the top with very little effort. While descending hills the tire's traction allowed me to navigate with control and without locking up my brakes. Of course the real question was how do the tires perform in deep mud. The most important characteristic of a good mud tire is its ability to self-clean; this is the action of the tread clearing itself of mud as the tire spins. The faster a tread pattern can clear itself the more traction is available and the further you can travel in the mud. What really makes the difference is large voids that allow the mud to be flung out of the tread. The Mad Dogs have very large voids in the center portion of the tread and narrower voids on the outsides. What this means is that the center of the tread clears out quite easily and the outsides not quite as well. The traction and cleaning action provided is much better than your average mud terrain tire, but it is not quite as good as some other aggressive dedicated mud tires. 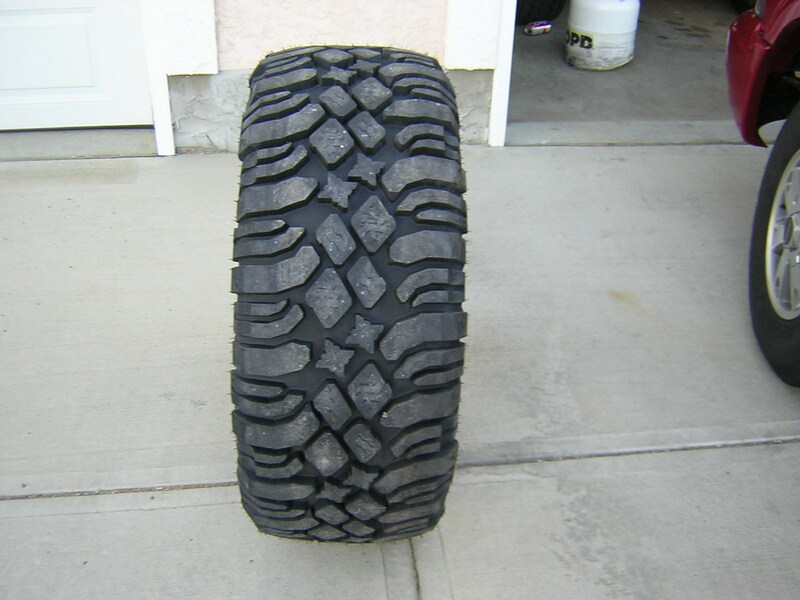 The Pit Bull Mad Dog is a well made tire with some very nice extra features such as the sidewall and bead protection. The tread design is more than adequate for running muddy trails but perhaps not the first choice of a competitive mud bogger. While I have not yet had the opportunity to test these tires in the rocks I believe that the soft tread compound coupled with the spacing of the tread blocks should provide great traction for rock crawling. 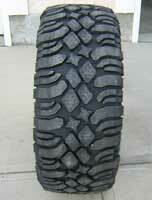 On the road the Mad Dogs are squirmy, in part because of the soft compound and in part because of the tread design. At low speed you can actually hear the tread blocks deforming with a kind of squeak noise. Road noise is approximately equal to competitors equivalent bias-ply tires while at the same time the Mad Dogs provide a little more compliant ride than some of their bias-ply competitors. Are the Pit Bull Mad Dogs a mud tire? Well, that depends on your definition of mud. For some there is no trail just the mud, for others mud is the trail and for others still mud is on the trail. If you are in the first category you probably already have a tire that is better suited. If you fall into one of the last two categories, I believe the Mad Dog is a good all around tire with much better off road traction than your typical mud terrain from those companies whose main business is selling passenger tires but without their on road manners. And lets face it, 4x4s with aggressive tires and long travel suspensions don't handle like sports cars so an off road tire that doesn't have superb on road manners really isn't a liability. Driving to the office is not what these tires were designed for but if you want to run trails over a variety of terrain I think you'll be happy with the Pit Bull Mad Dog tire. Thank you to Mike Green of Pit Bull Tires for providing me with the Mad Dogs for the review. Thank you to Lee Shonert of Alberta Safari Company for the use of his facility for the off road testing.